This contemporary-styled side chair adds a unique flair to your dining setting. Crafted from various hardwoods, the chair features an upholstered full back and seat for extended comfort. Showcasing an interesting curved-back design, this chair makes a wonderful addition to the dining space. 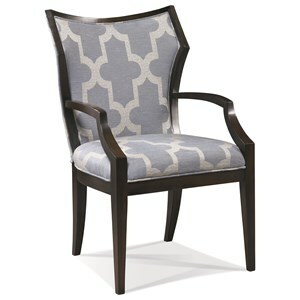 This beautiful arm chair features a supportive design for your dining room setting. Crafted from various hardwoods, the chair features an upholstered full back and seat for extended comfort. 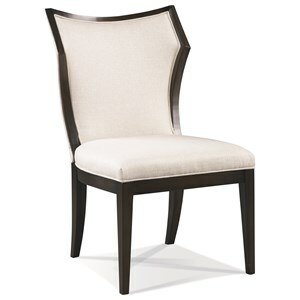 Completed with elegant arms and a curved back design, this chair makes a wonderful addition to the dining space. 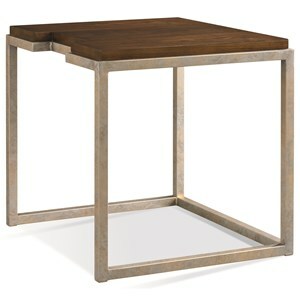 This end table adds low-key elegance to your home. Featuring a platinum metal base and wood top, the table fuses more transitional and industrial styles that culminates in a beautiful design. 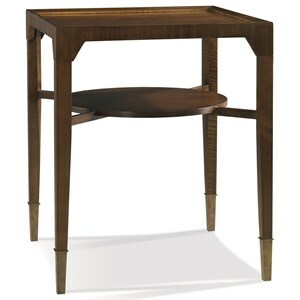 Perfect for drinks or smaller items, this table will meet your living room needs. 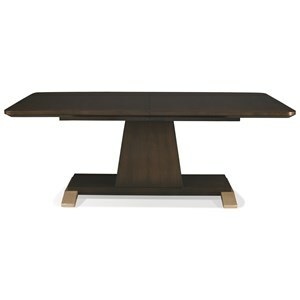 This contemporary dining table presents exceptionally accommodating design for your home. 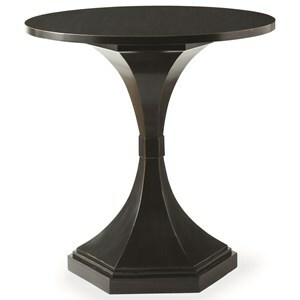 Able to extend to 126" with the help of two 22: leaves, the table showcases an elegant pedestal base. Featuring a rectangular top and able to seat up to 12, this dining table makes a wonderful centerpiece for your home dining room setting. 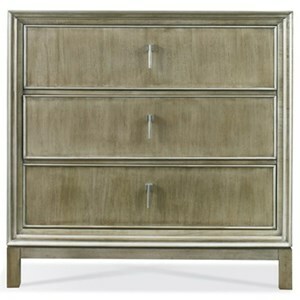 This beautiful chest of drawers and accompanying base adds style and storage to your bedroom or office setting. Showcasing transitional style, the base features four legs while the chest highlights three drawers with brushed nickel pendant hardware. 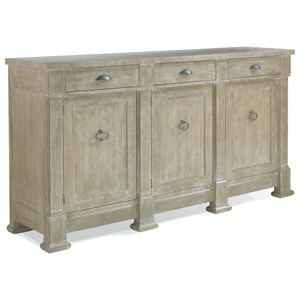 Featuring three English dovetail drawers, this buffet presents an accommodating storage piece for your home. Highlighted by eight block legs, the buffet includes three adjustable wood shelves. Perfect for your dining room space, this buffet exceeds all expectations of dining storage. This distinctive side table presents a wonderful style accent for your living room space. Featuring four tall legs, the table showcases a round middle shelf. Crafted from Maple solids with European and American Walnut veneers, this unique table pairs well with other modern and contemporary furnishings. This lamp table showcases modern and transitional design accents. Featuring a pedestal base and round top, the unique design showcases contemporary elegance. Perfect for lamps or other small living room pieces, this table works well in hallway, living room or even bedroom settings. 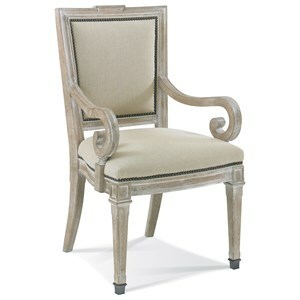 Crafted from European Beech solids, this elegant arm chair displays beautiful traditional style. Showcasing intricate arms with back splayed legs, the chair features a comfortable upholstered seat and supportive full back. 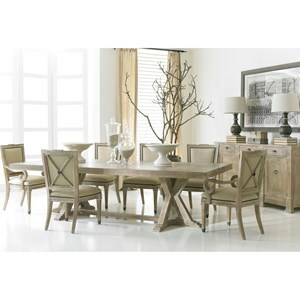 Highlighted by a distressed finish, this chair adds a wonderful accent to your dining room. Our desire has never been stronger to create the most sought after home furnishings. Our commitment to this desire is the driving force that leads us into the future. We look forward to exceeding the demands of our consumers for many, many years.